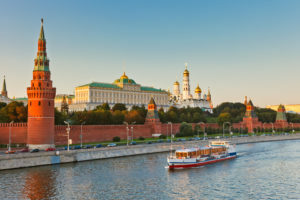 The Russian private equity firm gave investors a liquidity option on two of its buyout funds, though low pricing meant lower than expected uptake. Goldman Sachs Asset Management has emerged as the buyer in a pair of tender offers carried out on Baring Vostok Capital Partners’ third and fourth flagship funds, Secondaries Investor has learned. The Russian fund manager, which has $3.7 billion under management, gave investors in its 2005-vintage $413 million Baring Vostok Private Equity Fund III and 2007-vintage $1.1 billion Fund IV the opportunity to sell to a chosen secondaries buyer or continue as before with the same contract and limited partnership agreement, according to three sources familiar with the deal. An offered price of around 90 cents on the dollar was one reason why uptake was “relatively low”, according to one of the sources. The value of the deal and number of sellers was unclear. Evercore ran the process, Secondaries Investor understands. Investors in Fund III include Australia Post Superannuation Scheme, CDPQ and the European Bank for Reconstruction and Development, according to PEI data. Assets left in the fund include Kaspi Bank, a Kazakh retail bank acquired in 2006, and the Center for Financial Technologies, a financial services technology provider also acquired in 2006, according to the 2016 annual report of Baring Vostok’s listed vehicle. Investors in the fourth fund include the aforementioned as well as Adams Street Partners and the Finnish Local Government Pensions Institution. Remaining assets in Fund IV include hospital operator EMC, which was acquired in 2012, and Ecodolie, a residential property developer acquired in the same year. In August last year, LGT Capital Partners led a syndicate to buy into the restructuring of Baring’s 2000-vintage fund, which had remaining net asset value of around $100 million, as Secondaries Investor reported. Baring Vostok, Goldman Sachs and Evercore declined to comment.